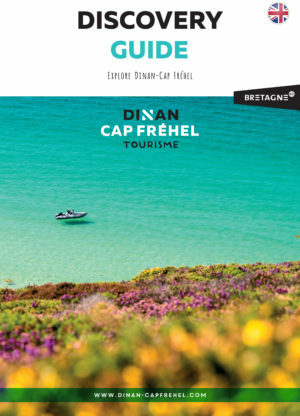 Natural and historical heritage, this is the destination of Dinan-Cap Fréhel : the medieval town of Dinan, the sea-side resorts of Saint-Cast-le -Guildo and Saint-Jacut de la Mer, The beautiful sandstone cliffs of Cap-Fréhel and Fort La Latte, the impressive fortress. Prenez-en plein vos mirettes en découvrant tous les incontournables de Dinan-Cap Fréhel ! Do you want more ? Let’s go to discover the highlights around Dinan-Cap Fréhel. Open the photograph album and watch videos of the destination Dinan-Cap Fréhel ! The essential to travel the destination Dinan-Cap Fréhel.